A Holter recorder, also known as an ambulatory electrocardiograph, is a tool used by physicians to acquire ECG rhythm abnormalities that do not occur only in office. Welch Allyn's deluxe HR-300 Holter Recorderis a lightweight, easy-to-wear device intended for monitoring and diagnosing coronary problems in patients with shortness of breath, chest pain, arrhythmias, palpitations, cardiac medication, pacemakers, and family and/or personal history of heart disease, among other conditions. 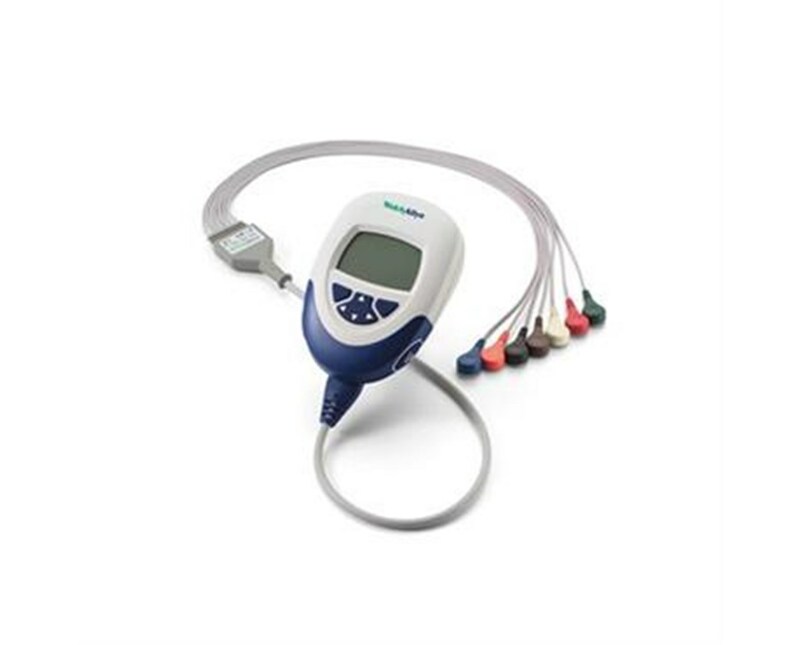 The HR-300 recorder is compatible with both Welch Allyn Office and Expert Holter software systems (sold separately; see related products to order) for comprehensive analysis of ECG data at the end of the monitoring period. It features 2- or 3-channel recording, 24-48 hours of recording time, pacer detection, and real-time wireless ECG data transfer via Bluetooth technology for verification of proper electrode placement and quality. Two patient-activated event buttons enable the patient to record events and times that he or she believes are significant. It provides feedback on a clear LED display window. The HR-300 improves on the HR-100 Holter recorder with additional powerful features designed to accommodate regular, demanding usage. 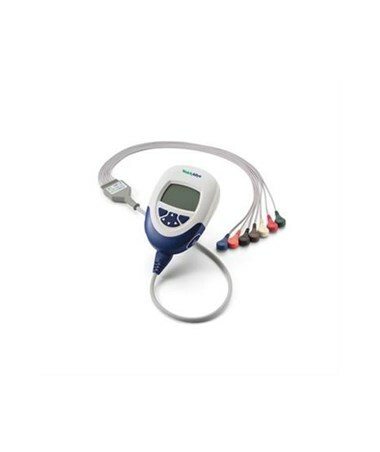 It offers remote initialization for added convenience, a display screen for real-time ECG previewing and test programming, and three programmable sampling rates: 200, 500, and 1,000 sps. It also boasts an elastomer keypad with navigational and soft menu keys for easier, more straightforward use and programming. The recorder includes a 7-lead removable patient cable, carrying case and belt, and SD card for data storage and transfer. It is powered by two AA batteries for easy, low-cost maintenance. You can purchase this item right now, online; simply click "add to cart" for hassle-free ordering at the lowest price! Dimensions 4.4" x 3.1" x 1.4"
This item is a special ordered product. We do not accept any returns for a specially ordered product for any reason. Should your product arrive damaged, we will repair or replace it at no cost to you. Please review our complete policy.